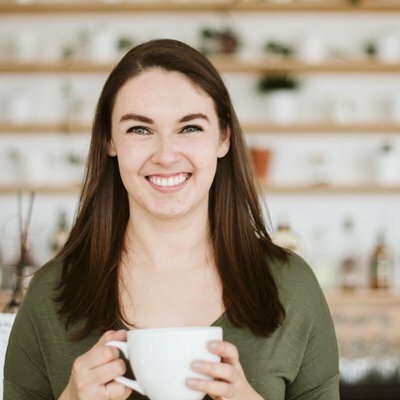 I know what it’s like to look at your budget and feel like there’s literally nothing you can cut out to save more money, or any money-saving habits you can add into your life. I mean, to be perfectly honest, that’s been a pretty consistent feeling every time I’ve sat down to seriously cut down my budget, whether it was when I was a new grad making a decidedly new grad salary, or when I first tried to start saving half my income, or even now when I look at our new budget based on our new home-ownership costs. Every time I actually sit down and stare the numbers in the face, it can still seem entirely immovable – like, what do you mean I need to find a way to save more money, none of these expenses can be changed. See? Personal finance nerds are humans too. This is a normal thing to feel. But luckily, I do have one trick that has consistently helped me figure out ways to cut back on even the most seemingly-immovable expense categories in my monthly money plan – and use those savings to seriously boost my savings goals. When you’re sitting there staring at your “totally immovable” budget, take it one category at a time, and ask yourself: How could I cut just this one expense by 10%? No, not cut your whole budget by 10%. Just this one, single line item. If you’re looking at your fitness budget, and wondering how to cut it by 10%, you could look at things like switching gyms, switching from an unlimited class pass to paying per class, or even just buying one fewer tank top every month. That could easily cut down your fitness spending by 10%. This even applies to things like your cell phone bill and your car insurance. You can always call in to negotiate your rates, ask for a deal, or compare what other companies would charge you for the same service. Switching might be a bit of a hassle initially, but if you can trim 10% off that expense forever, you’re golden. But here’s the thing. Cutting down on your budget categories isn’t actually going to save you money unless you actually save the money. 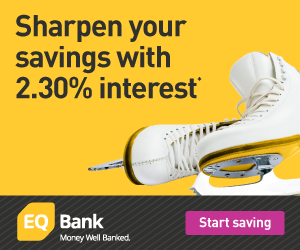 The only way this method is going to boost your savings – for that house, or that car, or that someday-retirement, or that dream vacation – is if you actually save the savings. As silly as this is going to sound, for every 10% savings you manage to find in your budget, you need to set up – or adjust – an automatic savings contribution to one of your savings goals. Yes, every time. Luckily, thanks to technology, you can do that from your couch. If you’re using an online bank like Motive Financial, you can make all of these changes online, and when you find savings in your budget, you can redirect that money to a savings account – or several! – ASAP. Whether you’re saving in a TFSA, RRSP or a high-interest savings account, Motive has you covered, and will let you set up easy-peasy transfers from your other accounts. You can even name the accounts, which is hands-down the best way to remember why you’re doing all of this in the first place. Trust me, saving money just to save money is boring and you won’t like it. If you need a bit of motivation to stick with your newly-adjusted budget (behaviour change is not easy, yo) my totally-nerdy favourite way to do it is to calculate how much faster you’re going to hit your savings goal thanks to your new savings contributions. Let’s say you were saving $300 a month for a dream vacation, and you found an extra $50 to save every month by trimming a few budget categories by 10%. Amazing. 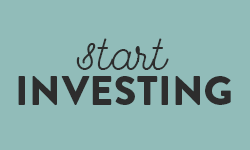 If your goal was to save $5,000, it would have originally taken you just over 16 months. Not too shabby, right? With your new savings contribution, however, you’ll be able to book that vacation two whole months earlier. If you bumped up contributions to $400 a month, you’re down to just a year to save the money (OK, 12.5 months, but that’s basically a year). Once you’ve got that daydream in mind – take the vacation in a year! Afford the wedding! Buy the house! It becomes a heck of a lot easier to see your new-and-improved savings contributions as non-negotiable parts of your budget. Which is the real key to sticking to your newly adjusted budget – and I speak from experience on that one. See – personal story alert – I recently had to adjust my budget downwards by a few hundred dollars a month, and this is exactly how I did it. When The Fiance and I set our shared goals, and the savings contributions we needed to make to hit them, they were built on our vision of what it would be like to be able to achieve those goals on the timeline we wanted. We want to have a debt-free wedding next summer! And we need to save up to replace his poor ol’ 13-year-old car next year. Plus, we want a healthy house emergency fund. Because we built our savings plan based on wanting to do those things, and a timeline to hit them, when I went to adjust my budget, those numbers and automatic savings contributions didn’t get touched. Instead, I was able to adjust the other, more flexible categories of my budget to make the new numbers work – and I started by making small changes, in the neighbourhood of 10% cuts. When you’re looking at your budget and everything seems totally immovable and locked in – which is a thing that happens so much, pals – don’t worry. Instead, start with just one category of spending, and ask yourself how you might be able to cut it by 10%. How you go about doing it might be totally different than how I would, but that’s the point –there’s no one right way to do it. All you really need to do is make sure you save the savings you find, and you’ll be well on your way to hitting your savings goals ahead of schedule (or sticking to the schedule you had originally hoped for)! PS. This post was a collaboration with Motive Financial, but all opinions (and stories) are mine! This is the best pizza crust. make sure you let it rise before spreading out. Thanks for this post! This is exactly what I need after looking at my budget knowing I need to save more for some big goals and finding so little wiggle room. Great post! 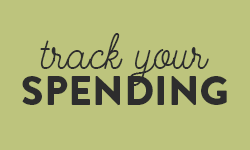 Yes, cutting 10% of your monthly spending can seem overwhelming, but if you go line by line, it’s much more manageable. We spend a lot on groceries, so I’m always looking for ways to reduce our spending there. I love the pizza idea! I have found that cornmeal is key to making a perfect crust with a pizza stone. Not a great way to save money in short term, but I LOVE my baking steel. Also, if the crust becomes too much work, pre-made flatbreads are a great substitute. I shopped around for the first time since getting my car – almost 8 years ago… Although I didn’t actually get those $50/month quotes that they initially promise, after plugging in my numbers, I did get a quote for $25/month LESS than what I’m paying now – which would reduce this line item by over 15%. YAY! That extra $300 a year will help me pay down my debts that little bit faster. Absolutely, 10% adds up to an enormous amount over time! I love this advice – breaking “impossible” goals into smaller pieces makes a ton of sense and this can work for just about anything – rent (move to a slightly smaller place or a different location), utilities (make sure to shut off lights), food, and more. 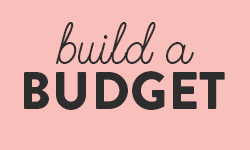 Such a simple, yet effective, way to view your budget! It’s too easy to look at it in its entirety and say “yeah right”, but dissecting it category by category can lead to much better success. That, and having a goal in mind with what to do with those savings. Why reduce a budget by 10%,just save 50% of your net and don’t look back, it is so frigging easy because everything that is left over is yours to use how you see fit. You can rent a nice place or buy a nice place if your budget allows it (leftover 50%). I totally believe in this system because it puts you at a great savings rate and lets the power of compounding work for you. My returns after 12 years dwarf my income and if I want to purchase a home no problem(renting is way better financially).I have done this on a blue collar wage ($80,000-$110,000) and do not understand why so many people need all these different systems/life hacks to get ahead, the numbers don’t lie financial independence in twelve years is very doable and you either want it or not. Words to live by, spread the word.